With 29 medal events and 276 athletes in Rio, Table Tennis is the third largest sport on the Paralympic program and, as one of the largest participant sports in the world, is one of the most competitive. Table Tennis has come a long way from its origins in the late 19th century, when it developed as an after-dinner game played by upper-class English families. Its popularity as a pastime in the 50s and 60s, made it very effective as a rehabilitation sport for people with spinal cord injuries. 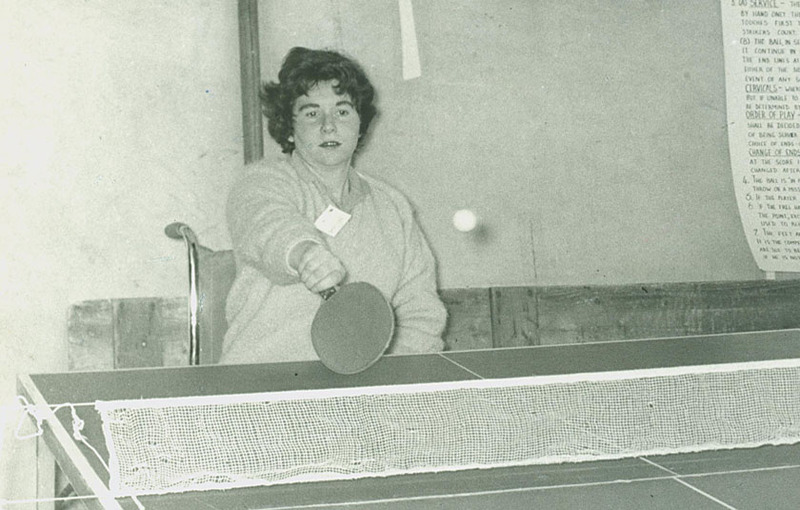 Wheelchair Table Tennis has been part of the Paralympic program since the first Games at Rome in 1960 – 28 years before the sport made its Olympic debut. Events for standing athletes were introduced in 1976 with inclusion of amputee classes into the Paralympics. By 2012, athletes from all physical disability groups and athletes with an intellectual disability could be classified for Table Tennis within its eleven classes. Para-table Tennis follows the rules set by the International Table Tennis Federation, with slight modifications for wheelchair athletes only: the serve must cross the back of the table before it crosses the sides of the table and either player in doubles may hit the ball after the serve has been received. In 1964 Daphne Ceeney (now Hilton) and Marion O’Brien won Australia’s first gold. O’Brien competed for England at the 1960 Paralympics, met and married Australian Team member Chris O’Brien, moved to Australia and competed for Australia in 1964 and 1968. Ceeney won 14 Paralympic medals across five sports over three Games, including Australia’s first medals won by a female athlete. "We couldn't race in Rome, they reckon it was too dangerous."